Just the way summers should be. Hiking scene on Galzig near St. Anton, Lechtaler Alps, Tyrol, Austria.Pure relaxation during the warm season – the Tyrolean holiday destination of St. Anton am Arlberg awaits summer guests with magnificent mountain scenery. Although St. Anton am Arlberg is known as an international tourist destination, the mountain village has retained its original alpine character. This special harmony with nature also impressed the jury of Europe’s largest competition for a greener and more pleasant environment. In late summer 2017, the Tyrolean community was officially proclaimed Europe’s most beautiful village in bloom. “Entente Florale“ experts were impressed, amongst others, by the reservoir-generated Arlberg electricity, which makes St. Anton 100% energy self-sufficient. A whole new world opens up only a few minutes away from the village centre: from summer 2018 onwards, holidaymakers will encounter four new, interactive stations that provide insights into the myths and legends of the region in the car-free Verwall Valley of St. Anton am Arlberg. Refurbishments have also been carried out at the high rope garden and playground at Lake Verwall, for which words alone cannot describe its emerald green waters. A barbecue and picnic area can also be found near Rasthaus Verwall. Extended in 2017, the “Eldorado” Bike Areal and the 35 metre long steel cable suspension bridge add to the many opportunities for active recreation. The 300-kilometre hiking trail network in St. Anton am Arlberg offers boundless opportunities for ambitious mountaineers and pleasure hikers. Well-marked trails in varying lengths and degrees of difficulty entice hikers to the untouched natural landscapes of the Verwall and Lechtal Alps. Speedy mountain ascents are facilitated by the Arlberg cable cars that whisk holidaymakers to Mounts Rendl, Gampen, Kapall, Galzig and the region’s highest peak at 2,811 metres above sea level – the Valluga. Once at the top, walkers can choose from a wide variety of tours and quaint mountain lodges for refreshments. 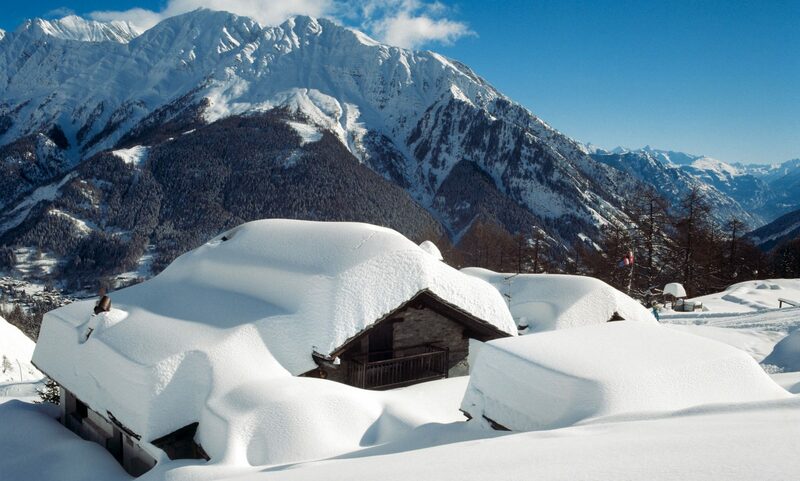 Photo credit: TVB St. Anton am Arlberg. Spot on St Anton am Arlberg in summer: Just the way summers should be. The “Mutspuren – Feel the Courage” Panorama Trail on Galzig which can also be easily reached via cable car, opened in summer 2016 at some 2,000 metres above sea level, where the whole family can learn about Arlberg’s fascinating history at the lovingly designed “Erlebniswelt – Adventure World”. Another trail in Schann entitled “Faith and History”, is dedicated to various themes such as the Swabian Children, alpine farming and the ”Golden City“. The great Way of St. James also passes through the region: The historic Arlberg Hospiz Hotel in St. Christoph offered protection and shelter to traveling pilgrims in the14th Century – and its doors are still open today. The “Eagle Walk” also begins and ends here, Tyrol’s most spectacular long distance hiking route. This 280 kilometre long hike (over 23 stages) leads hikers past powerful peaks, refuge huts, mountain lakes and flower-filled meadows, through the Karwendel and Rofan mountains to St. Johann am Wilder Kaiser. But that is not all: the “Adlerweg” is continually being expanded and improved. It is said that anyone who has ever sat on an e-bike, will never go back to pure pedal power. Holidaymakers can see if that saying is true during the first “E-Bike Fest” in and around ARLBERG-well.com event centre in St. Anton am Arlberg from 22nd to 24th June 2018. In addition to specially designed test tracks and a driving safety area, local guides are available to accompany those interested on guided e-bike tours. Ever since the “EldoRADo“ Bike Areal in Verwalltal opened in summer 2017, St. Anton has been a popular holiday address for cyclists of every genre – whether e-bike fans, or those who still prefer to cycle without electrical assistance. Picture credits: TVB St. Anton am Arlberg. Spot on St Anton am Arlberg in summer: Just the way summers should be. With its well signposted and marked network of cycling routes encompassing 350 kilometres in total, St. Anton am Arlberg is a popular area for all kinds of cyclists. The trails are sometimes extremely challenging, but always reward with fabulous views of the region’s most beautiful high valleys. St. Anton is also the optimum starting point for racing cyclists: challenging routes stretch away to the east and west for alpine explorations – such as the challenging Kaunertaler Glacier Tour, the scenic Silvretta High Alpine Road or the “Three Passes” journey to Bregenzerwald Forest and Lake Constance. Photo credit: Wolfgang Ehn. Spot on St Anton am Arlberg in summer: Just the way summers should be. Contrary to standard triathlons, the three disciplines of the ”Arlberg Eagle“ are held over a period of five months. The prelude to this worldwide unique mountain triathlon is the ”White Thrill“ event on 21st April 2018. After the mass start late afternoon at the Vallugagrat, 555 international skiers and telemark enthusiasts hurtle down nine kilometres of unprepared slopes to the valley, with an added 150 metre interim ascent and several challenging obstacles, to make things even more interesting for participants and spectators alike! St Anton Panoramic Summer picture with peaks’ names.Spot on St Anton am Arlberg in summer: Just the way summers should be. Competitors then have to keep in shape for the next discipline, the ”Arlberg Jakobilauf” half marathon on 21st July. Those still in possession of sufficient competitive spirit can then try their luck at winning the coveted triathlon trophy at the ”Arlberg Bike Marathon“ on 18th August. The starting pistol for the “Montafon-Arlberg-Sparkassen-Marathon“ will be fired on 30th June in Silbertal in Vorarlberg. The ca. 600 participants appreciate the scenic race route in particular: 42 kilometres leading mostly through alpine forest and hiking trails to St. Anton am Arlberg. The highest point of the tour is the national border between Vorarlberg and Tyrol, at 1,945 metres above sea level. A total of 1,600 metres in altitude difference must be surmounted. green Picture credits: TVB St. Anton am Arlberg. Spot on St Anton am Arlberg in summer: Just the way summers should be. With almost 1,000 square metres of climbing surfaces and classic indoor sports activities, arl.rock entices you outside in any weather. Of around 100 challenging climbing routes, 30 are located in the outdoor area where two via Ferrate routes lead up the 18 metre high outdoor tower. Tricky bouldering variants are ready and waiting inside. And those who prefer to keep their feet on the ground to start with, can let off steam playing tennis, volleyball, basketball, table tennis, squash or a spot of bowling. Raging white waters, pristine canyons and steep gorges: professional outdoor experts help visitors experience an adrenalin rush in the midst of high alpine landscapes around St. Anton – be it rafting, kayaking, canyoning tours, paragliding, climbing or on adventure hikes. Photo credit: TVB St. Anton am Arlberg / photographer Christian Schranz. Spot on St Anton am Arlberg in summer: Just the way summers should be. With its steep and rocky faces, Arlberg presents a whole range of climbing opportunities for free-climbers. The „Klettergarten“ (rock climbing area) at the Schanner Gorge is a particularly popular destination for sport climbers, with 40 different routes in grades of difficulty ranging from 3 to 9. Bouldering enthusiasts can scramble over boulders up to eight metres high along the wildly romantic rocky walls of the gorge. A well secured gneiss climbing area can also be found around the Darmstädter Hut and Kuchenspitze Peak (3,148 metres above sea level), with seven climbing walls and around 70 additional routes. Experienced mountaineers rave about the St. Anton via Ferrate, considered by those in the know to be not only one of the most challenging in the Alps, but also one of the most beautiful. The almost two kilometre long route leads high above St. Anton on a long ridge to the Weißschrofenspitze Peak. In comparison, the high and low rope gardens in St. Anton am Arlberg are a proverbial “walk in the park”. Beginners can “dangle” around up to twelve metres above the forest floor on a sixteen section parcours in this natural playground. In bad weather, St. Anton sports and climbing centre, arl.rock, awaits with around 100 different routes in diverse levels of difficulty. Picture credits: TVB St. Anton am Arlberg. Spot on St Anton am Arlberg in summer: Just the way summers should be.Spot on St Anton am Arlberg in summer: Just the way summers should be. Swimming, sauna, steam bath, spa – are all required to be able to indulge in the essential pleasures of rest and relaxation whilst on (summer) holiday. St. Anton am Arlberg offers it all at the ultra-modern and spacious ARLBERG-well.com, Centre for Wellness and Communications. The complex is also used regularly as a venue for sporting and international events, where special glazing allows unobstructed and refreshing views of the surrounding mountains. You can also enjoy some pleasant relaxation at the Wellnesspark Arlberg Stanzertal in Pettneu. Many St. Anton hotels also offer exclusive spa facilities and therapeutic treatments. Picture credits: TVB St. Anton am Arlberg / Justina Wilhelm. Spot on St Anton am Arlberg in summer: Just the way summers should be. St. Anton am Arlberg is the ideal holiday village for the whole family. Therefore, it goes almost without saying that the Tourist Board offers an adventurous holiday programme for the next generation. Parents in particular, appreciate it enormously when the region’s mascot as well as children’s representative, „Hase Hoppl“ (Bunny Hop) takes off with the young ones. During professionally accompanied expeditions through nature from Monday to Friday, kids aged 4 to 16 years learn all kinds of interesting things, such as how to build a dam or a sundial. : TVB St. Anton am Arlberg / Bernd Ritschel. Spot on St Anton am Arlberg in summer: Just the way summers should be. A world record blooms along the WonderWalkingTrail. It all began with 1,600 hand-planted edelweiss shrubs: and now over 100,000 edelweiss grow in the form of a huge flower at the Sennhütte above St. Anton am Arlberg from July onwards. In 2017, “Guinness World Records” recognised this hand-planted splendour as the world’s number one in terms of numbers of flowers, almost doubling the previous record from Turkey’s Ankara. Visitors can find out more about this powerful alpine symbol at the Edelweiss-Stadl and adjacent nature trail, which is part of the WonderWalkingTrail. Photo credits: TMC / K & K. Spot on St Anton am Arlberg in summer: Just the way summers should be. Brass music has always enjoyed great tradition and is back in fashion once again. For over a century now, six bands have been an integral part of the communities in Stanzertal, which also includes St. Anton. St. Anton Town Band was founded in 1900 and the famous ski pioneer, Hannes Schneider, was its chairman. The band has enjoyed its greatest boom, however, since the year 2000 with numerous performances all over the world and a high proportion of young musicians. The music associations present lively performances in turn at the many different festivals, such as St. Anton’s Village Festival on 14th and 15th July 2018, as well as the Parish Fairs in St. Jakob (21st /22nf July), Pettneu (15th August), Flirsch (26th August) and Schnann (2nd September). The Arlberg Riflemen Marquee Festival from 10th to 12th August in St. Anton am Arlberg is yet another all-time favourite. As the first autumn leaves turn to gold, ornately decorated cattle will be returning to the valley from their summer alpine pastures. This is celebrated on the 15th September with a traditional cattle drive and farmer’s festival. Locals and guests bid farewell to summer and welcome the autumn season on this special day. Heavy props are occasionally used at the weekly Tyrolean Evenings: sometimes tree stumps are even hacked by an axe, stone blocks hammered or a scythe sharpened. 20 performers from „D’Arlberger” take these unusual instruments on to the stage to depict traditional life in the mountains. Their improvisational talents have already impressed audiences in almost every country in Europe. The successful folk group has even made guest appearances in Canada, South Korea and Japan. Performances in St. Anton am Arlberg can be enjoyed in the Arlbergsaal, every Tuesday from July to September from 21 hrs. The admission fee is Euro 17, which includes a drink. Country fans will meet in St. Anton am Arlberg from 7th to 16th September for the musical highlight of summer 2018: up to 500 Catalan dancers and line dancers from all over the world will then live out their shared passion for dancing at the Country Dance Festival. They also have their sights set on two new disciplines on both weekends: a “Catalan World Record” and a “Line Dance Marathon”. Visitors can savour a real country feeling on 15th September, when American double-act ”High South & Love and Theft“ from Nashville come to town. 2014 was in fact a great year too, when the Tourist Board, Line Dance Landeck Associaiton and the Arlberg Mountain Line Dancers managed to secure the “Best Event of the Year” audience award from the renowned magazine “Living Line Dance” for St. Anton. Picture credits: TVB St. Anton am Arlberg / photographer Christoph Schöch. Spot on St Anton am Arlberg in summer: Just the way summers should be. We’ll soon make a Must Read Guide to St Anton after visiting in July, but in the meantime, you can read the Must Read Guide to Courmayeur here and the Must Read Guide to Val di Fiemme here.